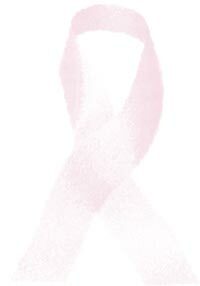 "Breast Cancer is apolitical and nonpartisan. It knows no cultural, ethnic or religious boundaries. It respects nothing and nobody. It's an equal opportunity disease." Dr. Richard Hirsh, M.D. F.A.C.R., is a man with a mission, actually a man with fifteen missions, so far. Dr. Hirsh is a diagnostic radiologist at Summa Health System in Akron, Ohio, as well as assistant professor of radiology at Northeastern Ohio Universities College of Medicine (NEOUCOM). He has a special interest in mammography. He knows that mammograms save lives by detecting breast cancer early enough to treat it. 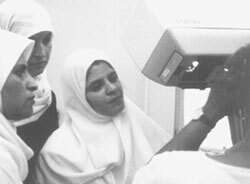 In 1989 Dr. Hirsh participated as a volunteer on a mammography teaching mission to India. He was one of 25 radiology specialists working in nine different cities. Radiologists and technologists taught the importance of early detection of breast cancer, mammographic technique and interpretation. 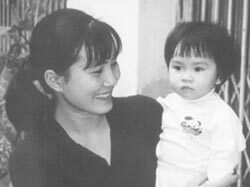 In 1994, inspired by his previous experience, Dr. Hirsh organized and led a mammography mission to Nepal. 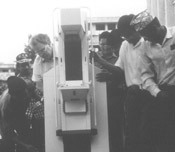 He obtained donated mammographic equipment and assembled a team of experts to teach mammographic technique and interpretation to technologists and radiologists and to create public awareness of the importance of early detection of breast cancer through the mass media. Dr. Hirsh succeeded in reaching his goals with this first mission and continues to exceed them each year with subsequent missions to various developing countries, fifteen missions to date. In 1996 Dr. Hirsh founded Radiology Mammography International (RMI), a non-profit organization with the mission of helping developing regions improve mammography education and obtaining needed equipment to achieve their goals. Hirsh takes an eight – to twelve-person team on the missions; X-Ray technologists, engineers, radiologists and women’s health educators, as well as spouses of members of the U.S. Congress, who serve as community outreach spokes-persons. The team members come from all over the United States and other countries. They are volunteers who give up their vacations and leave their families to help underprivileged people in far-off lands. Missions last two to three weeks. As the machines are installed and the radiology personnel are trained, Dr. Hirsh lectures to general medical and surgical staff about mammography and breast cancer. Spokespersons perform community outreach on the lifesaving importance of early detection. That pole is expensive. Travel costs, lodging, and food for the team can total $3000.00 per person. The need for equipment and supplies is ongoing. Dr. Hirsh solicits the donation of mammography machines and mammographic film, and routinely seeks grants and private donations for his work. Lorad in Danbury, Connecticut and Tom Johnson of Professional Consulting & Imaging Services of Wadsworth, Ohio have been extremely generous in donating equipment for the missions. Kodak, All Pro, X-Rite Corporation, Nuclear Associates, Maxant (X-Ray view boxes) and Cook have also been major sponsors, donating test equipment, film, and other supplies. “These donations are the quality assurance keys to the success of our mission,” said Dr. Hirsh. 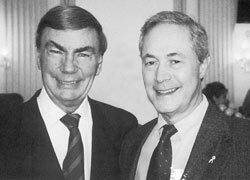 Television News Correspondent Sam Donaldson and Dr. Richard Hirsh at the 10th Annual Congressional Families Action for Cancer Awareness Awards, 2002 in Washington D.C. Akron Radiologist Richard Hirsh Honored for Humanitarian Missions to Fight Breast Cancer. 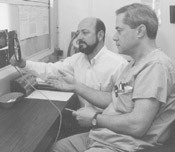 In 1999 Dr. Richard Hirsh, M.D. F.A.C.R was honored by the Congressional Families Action for Cancer Awareness Program for his international humanitarian work and founding of Radiology Mammography International. Congressional Families Action for Cancer Awareness, a program of the Cancer Research Foundation of America, is a bipartisan outreach effort by family members of the Senate, House, Cabinet and Supreme Court to reduce cancer Mortality. Dr. Hirsh joins very distinguished company. Past honorees include Sen. Bob Dole, Supreme court Justice Sandra Day O’Connor, General Norman Schwarzkopf, Jane Seymour, Katie Couric, Jill Biden, Sen. Connie and Priscilla Mack, Sam Donaldson, Barbara Bush, Ann Curry, Susan Love, MD and other outstanding individuals in media, medicine, government, education, and human services. 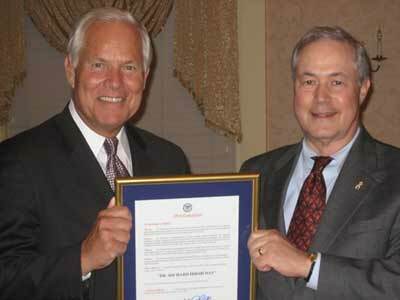 July 13, 2007, Mayor Don Plusquelic awards Dr. Richard Hirsh a plaque for Akron Peace Council Honors. The plaque states "Dr. Richard Hirsh Day" for the City of Akron, Ohio.